Mayor de Blasio wants to buy privately owned apartment buildings used to house the homeless and turn them into affordable housing units — and if owners don’t want to sell, he’s prepared to try to force them. The buildings at issue are “cluster sites,” or apartments the city houses homeless people in, often paying the building owners well above the market rent — as much as $4,000 a month. The mayor promised to stop using the apartments — which are often in shabby shape — in January 2016, but progress has been slow, sometimes tragically: Two children were killed in a steam radiator explosion in a cluster site last December. The city has reduced the number of apartments it’s using by 1,100 units, but the process has taken longer than originally planned. Today, 2,272 families remain in about 2,300 cluster units. Now it wants to help nonprofits buy 25 to 30 where half or more of the units are currently being used as cluster housing for the homeless. The nonprofits would fix them up and then offer the tenants of the buildings — about 800 homeless families and 300 other tenants — rent-stabilized leases. The city would not say how much rents might cost, but said homeless families who want to remain in their apartments would be given various forms of rental assistance if they needed it to make the new rent. 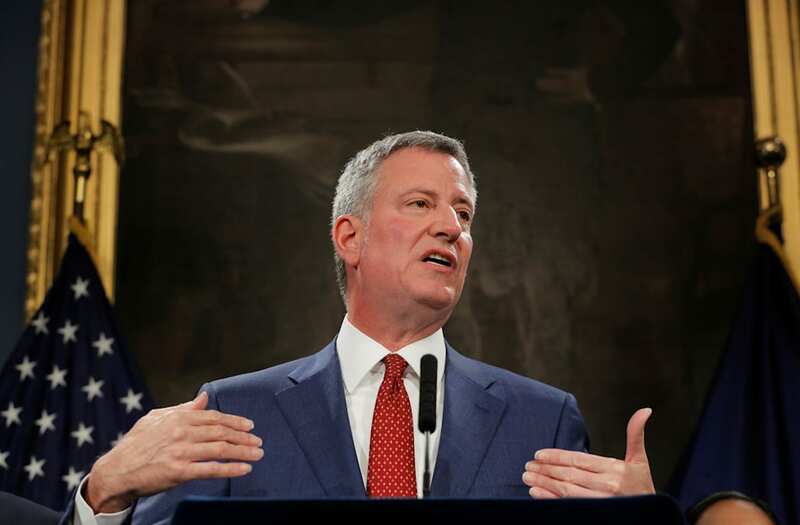 De Blasio said the city would offer the property owners a “fair price,” though he would not offer a ballpark for individual properties or for the program as a whole. “Our public purpose is addressing homelessness, family homelessness, and ending the cluster program,” Banks said. For years, building owners raked in big dough from the city on the cluster program — raising the question of why they’d consider selling their buildings. But de Blasio argued they should know that gravy train will end.